on design, art, interior architecture, new talent, fairs and book reviews - clear and informative articles, written out of a deep curiosity and love of the subject. 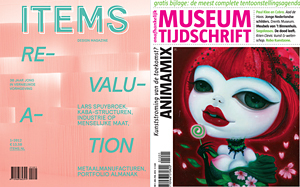 on commission from museums, designers and artists. Options include brainstorming with you on concept and the search for authors and graphic designers. I can also advise on image impact. on commission from companies and organizations and written in a creative, lively and promotional style.